The story of America's greatest running legend. For five years, no American runner could beat him at any distance over a mile. But at the age of 24, with his best years still ahead, long-distance runner Steve Prefontaine finally lost. Driving alone at night after a party, Prefontaine crashed his sports car, putting a tragic, shocking end to the life and career of one of the most influential, accomplished runners of our time. 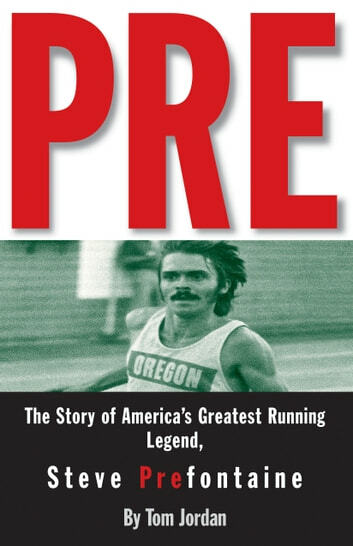 More than 20 years later, Pre continues to influence the running world. From his humble origins in Coos Bay, Oregon, Pre became the first person to win four NCAA titles in one event. Year after year, he was virtually unbeatable. Instead of becoming one of the new breed of professional track athletes, Pre chose to stay amateur and fight for the adequate funding he felt American amateur athletes deserved. A man of incredible desire and energy, Pre trained relentlessly. In his drive to be the best, he spurred others to do their best. As one racer said, "He ran every race as if it were his last." But Pre not only touched runners; his exciting technique as well as his maverick lifestyle made him a favorite of the fans. A race with Prefontaine in it was automatically an event. His brief but brilliant life—documented by author Tom Jordan—is the tale of a true American hero.